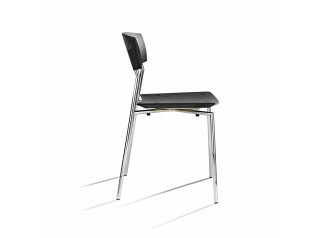 Toro Chair is stackable and ideal for arranging in rows. 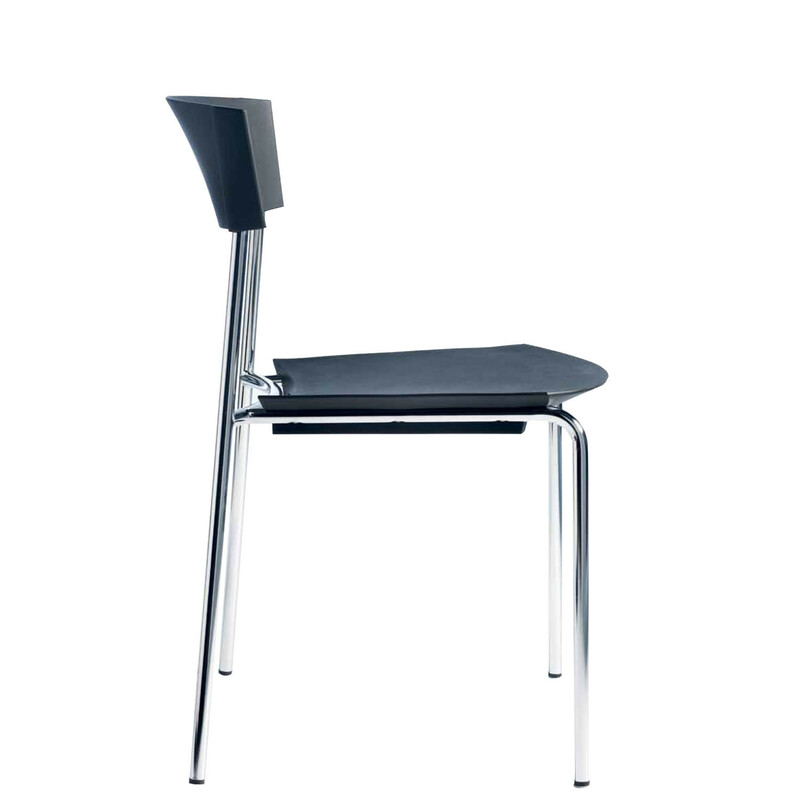 There is an integrated stacking spacer under the seat which facilitates quiet stacking without leaving marks on the chair underneath. Toro is also shock resistant, easy to clean. 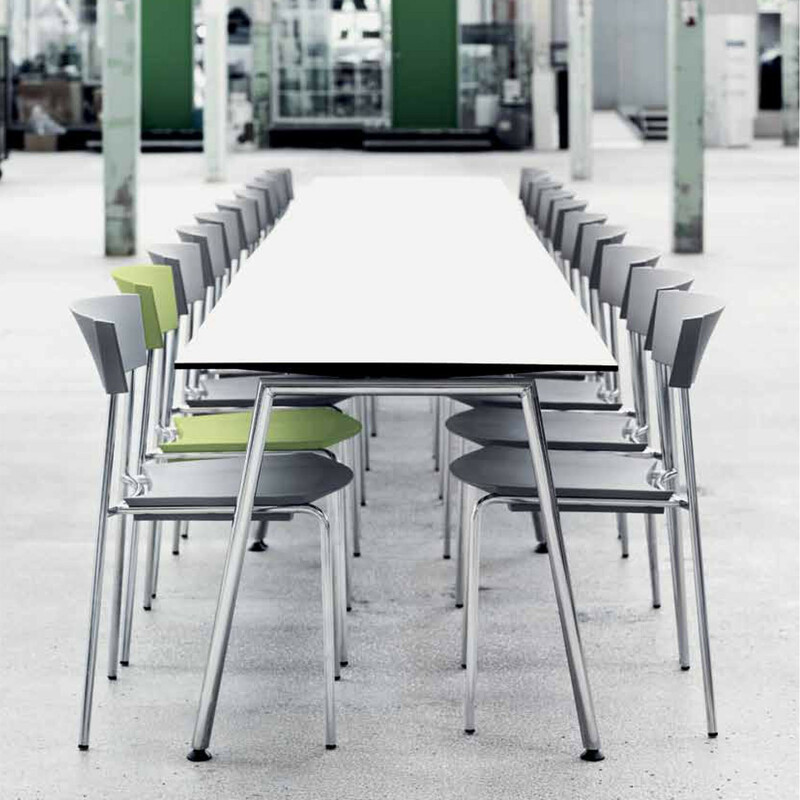 When fitted with the optional galvanized frame, Toro can be used outdoors too, making it an especially versatile seating solution for dining and cafe environments, as well as guest, conferences and meetings. 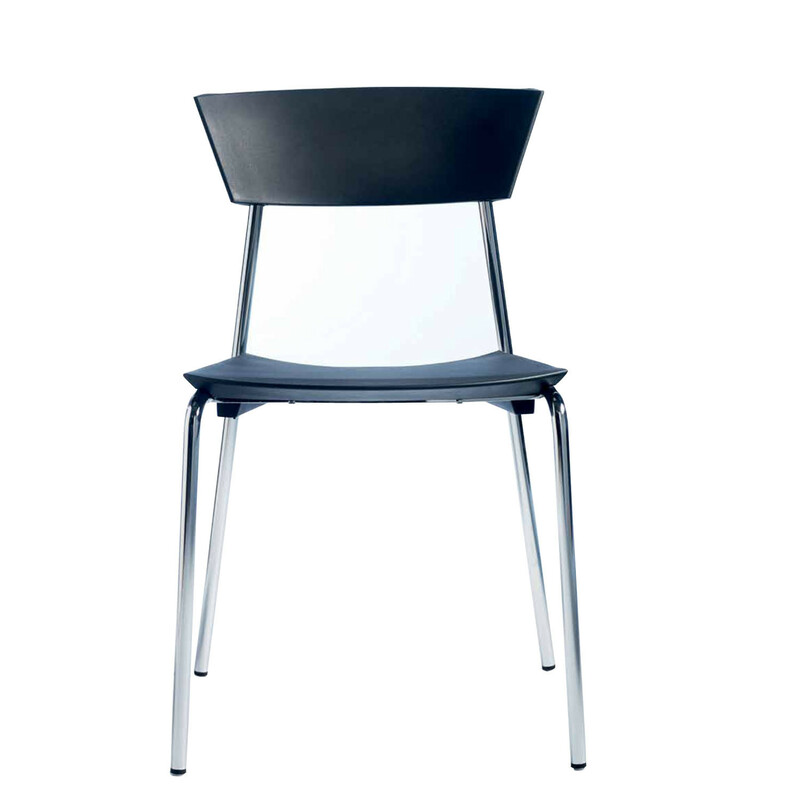 Toro Chair's design incorporates a close cohesion between materials, production technique, function and individuality. 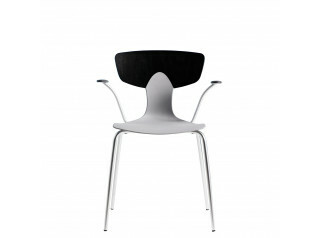 The sculpted and strong double curved shape of the back fully demonstrates the design possibilities of moulding the elastic polyurethane material. 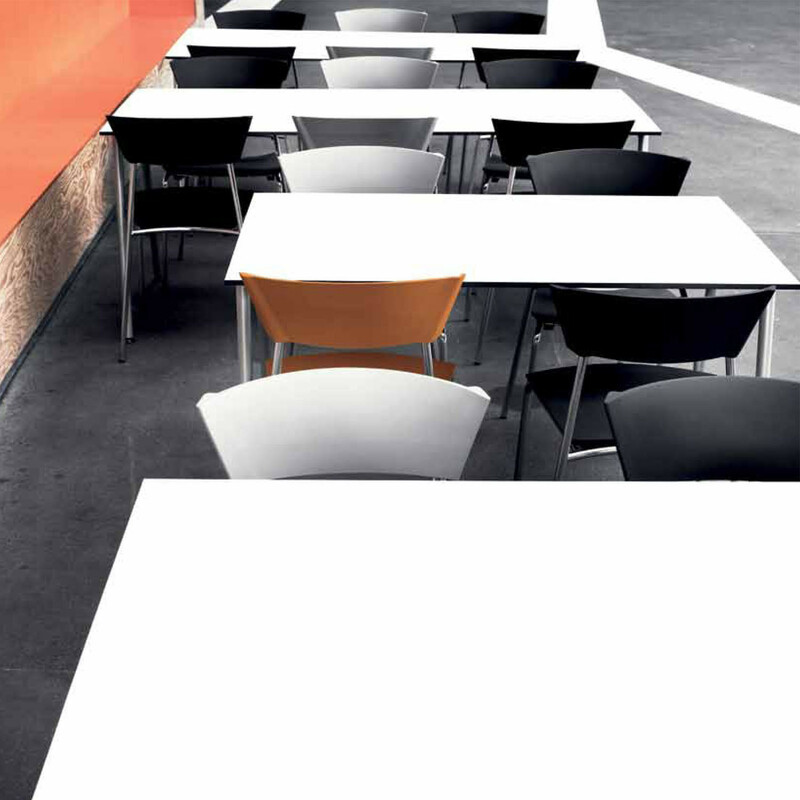 This contributes to Toro Chair’s exceptional comfort – whether you sit slightly forward, for example when you eat, or whether you lean back listening to a lecture. The comfort of the seat and back is further enhanced because the top edge of the back and the front edge of the seat do not require additional reinforcement. 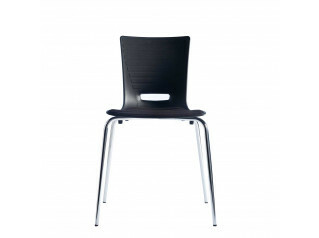 This gives a high elasticity which effectively ensures good blood circulation and avoids the pain caused by chairs which are designed with sharp, hard edges. 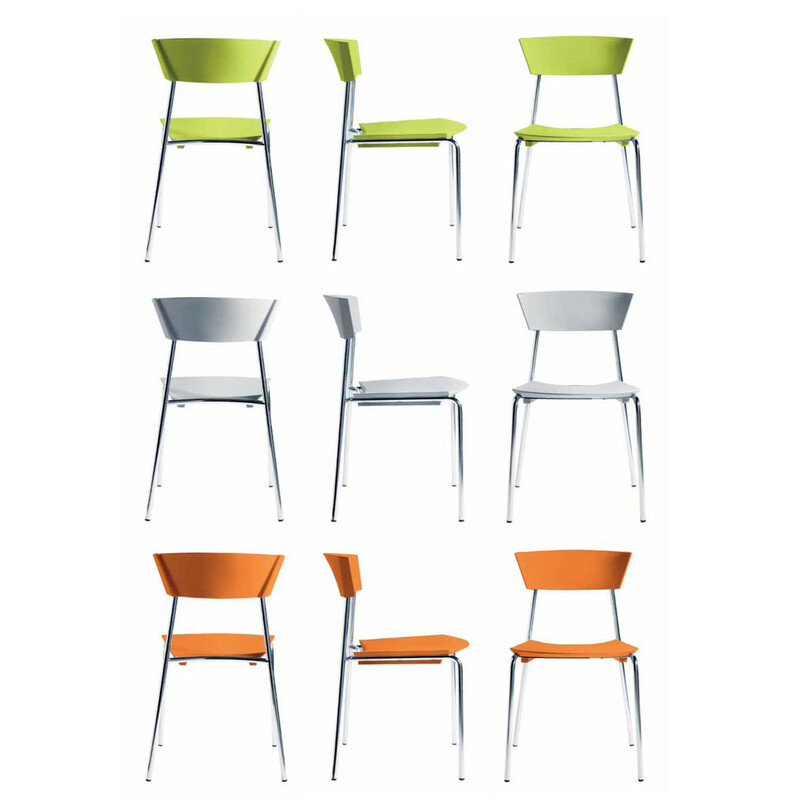 The standard frame of Toro Chair is in chromed steel and the seat / back are available in different striking colours. 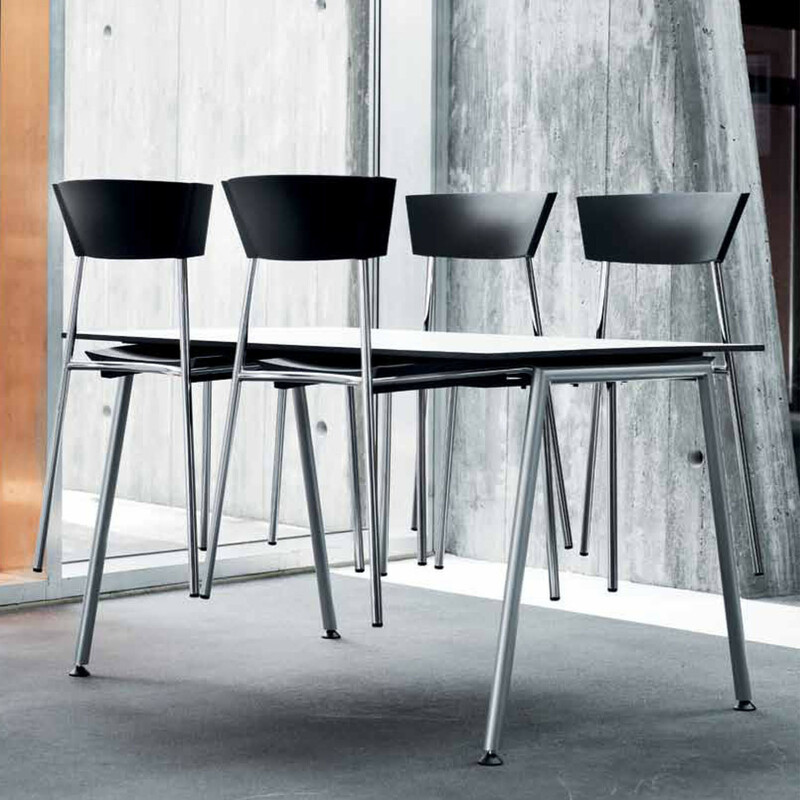 The sleek design of the Toro Table system fits well with the more sculptural design of the Toro Chair. 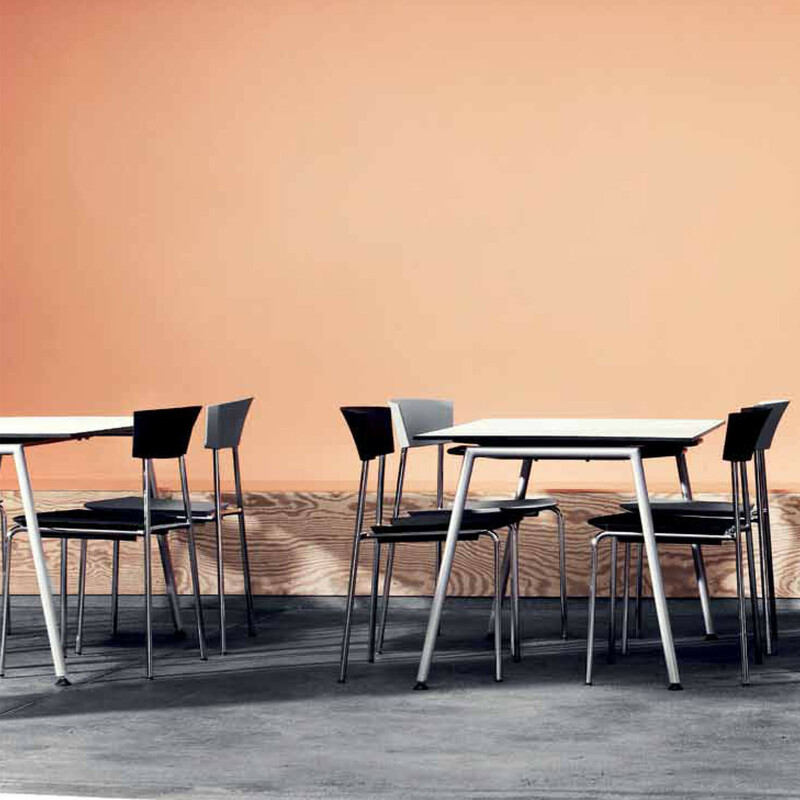 The table system offers both single tables for cafeterias or meeting rooms, and linked table arrangements with a reduced number of legs by using the “double-gables” which connect two tabletops. 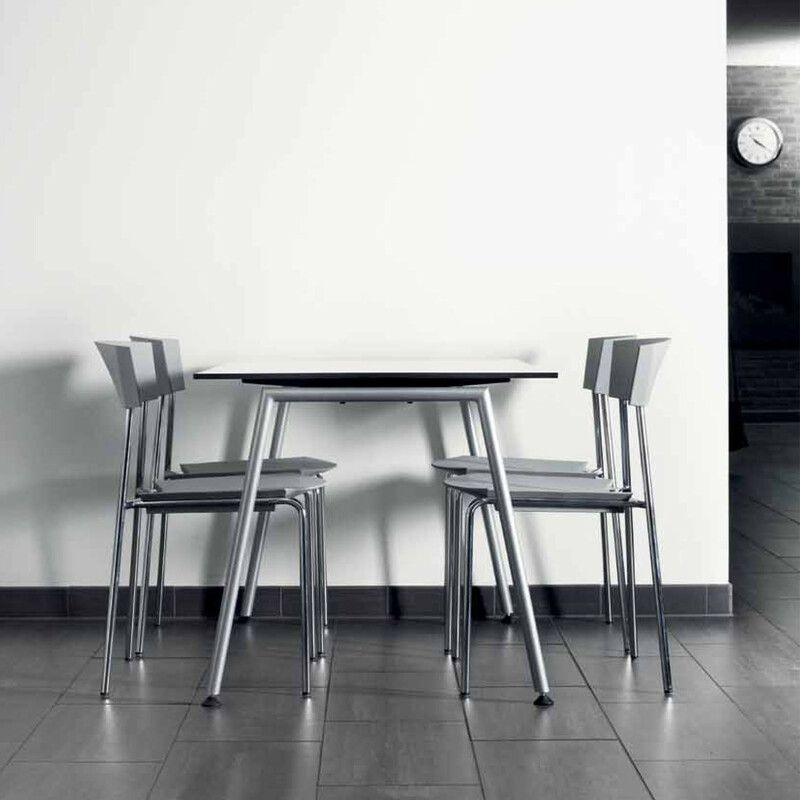 These long configurations are not only cost-effective and resource-saving, but also contribute architecturally to a room with calmness and simplicity. You are requesting a price for the "Toro Chair"
To create a new project and add "Toro Chair" to it please click the button below. 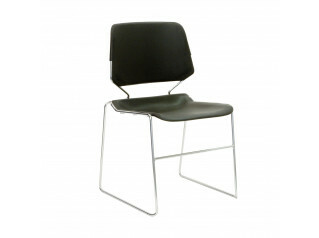 To add "Toro Chair" to an existing project please select below.